So you’ve been taking in the finest modern art, but now you’re just plain hungry. Here’s our guide to the best restaurants near Tate Modern for lunch, dinner, or a fine preparatory breakfast. The Bankside area immediately around the Tate is not especially well-known for the density of its restaurants. But there are a bunch of great places to eat near the Tate, just a short walk away, largely with an emphasis on modern British cooking. 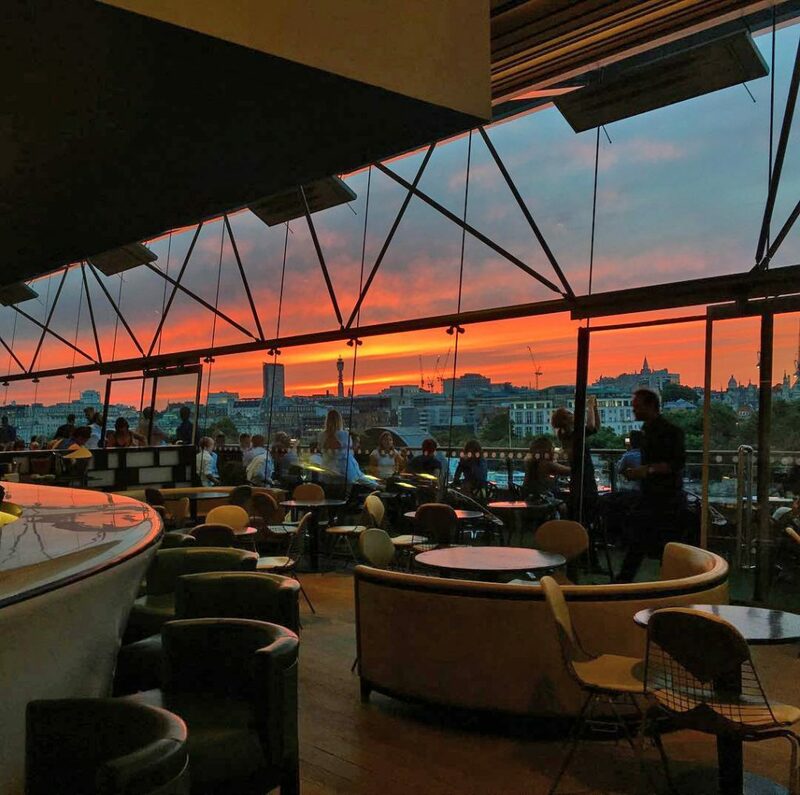 So chase up your Rothko with a roast with our pick of the best restaurants near the Tate Modern. Feeling particularly lazy? 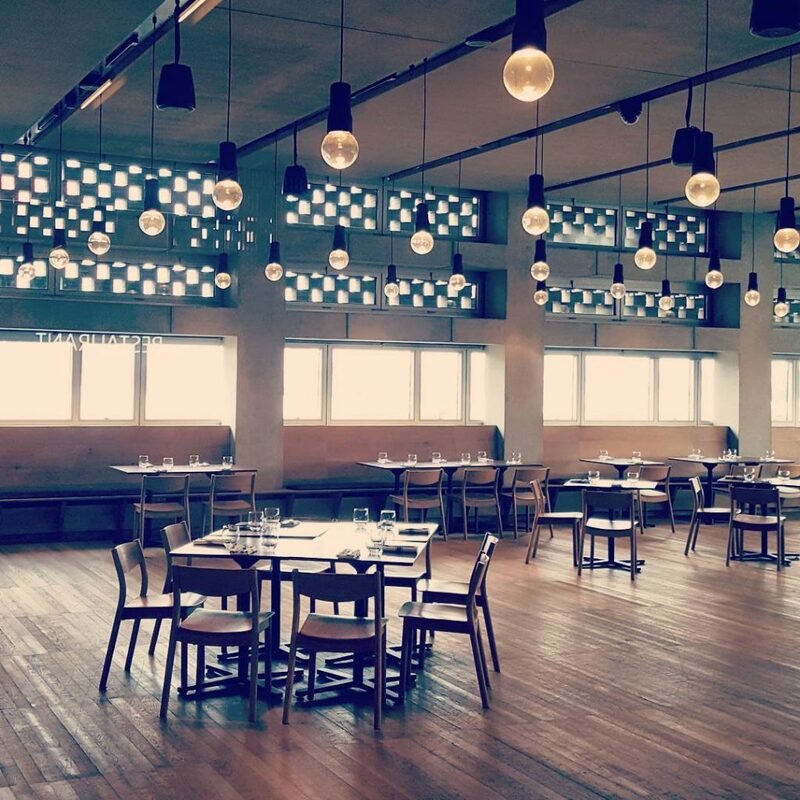 Tate’s very own restaurant is now up on the tenth floor of their mighty new Switch House extension. (Actually, they’re trying to call it the Blavatnik Building.) They dish up some servicable British cooking, with charcoal-grilled steaks, blackened cod, and cottage pie all on the menu. As the gallery attracts 1.6 million guests each year it can get busy, so you might want to book a table in advance. And although you’re ten floors above the Thames, don’t worry about getting a window seat – the windows are actually too high to see out of. Oops! 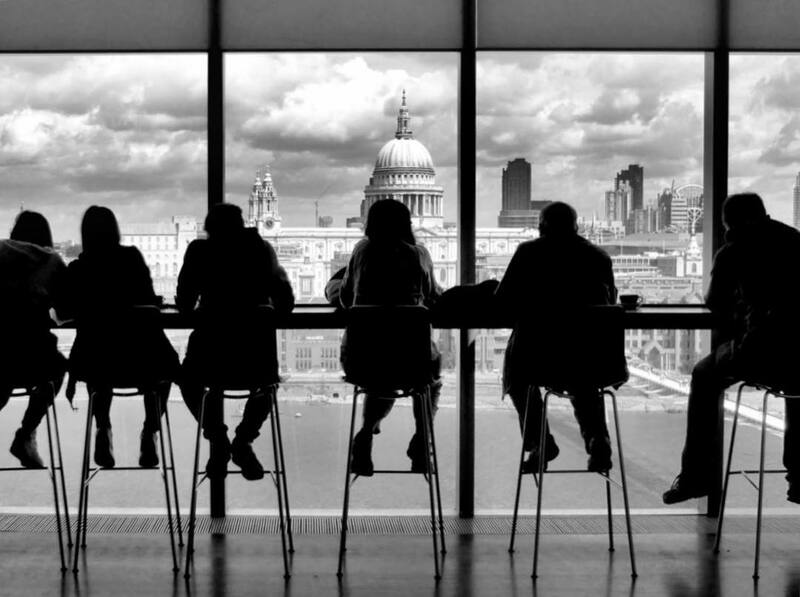 Or why not try: the Tate Modern café ❷, in the main Turbine Hall building. You’ll probably only get a sandwich and a coffee – but check out the view! 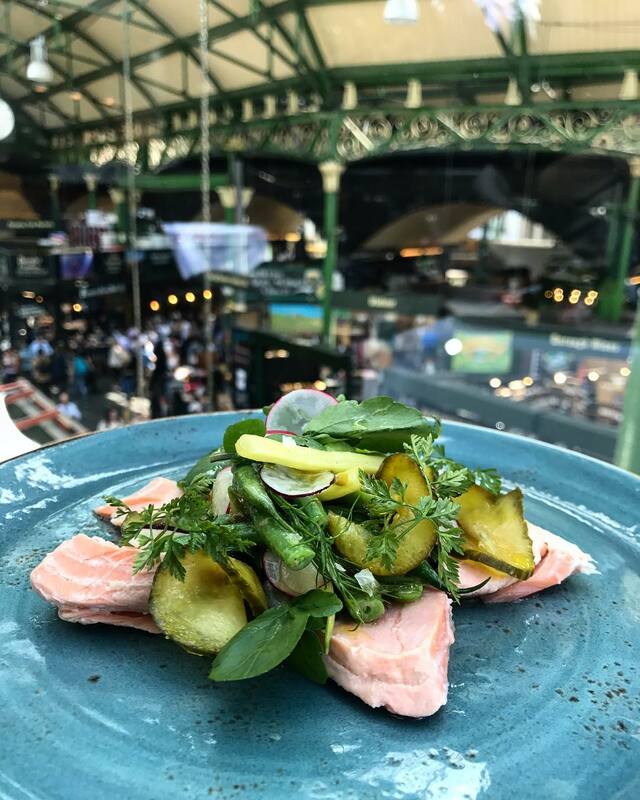 From the Tate, take a twelve-minute stroll east along the riverside, and you’ll get to London’s bustling Borough Market. Perched above it is the fab restaurant Roast, and there’s nothing quite like watching everyone else schlepping about below to make your meal all the more relaxing. Naturally, these guys do a cracking Sunday lunch, as well as Full English breakfasts, brunches and afternoon teas. 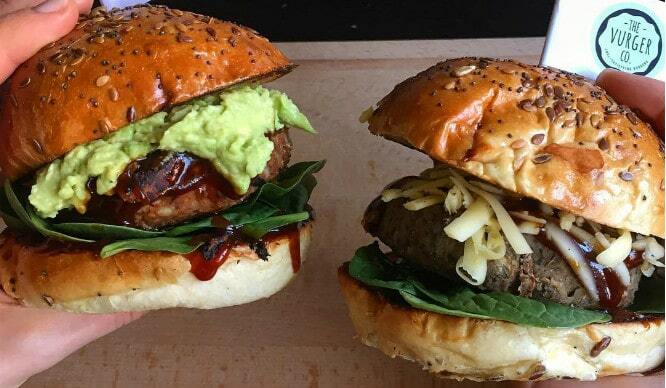 They also invented the Roast Burger which is very, very magical. 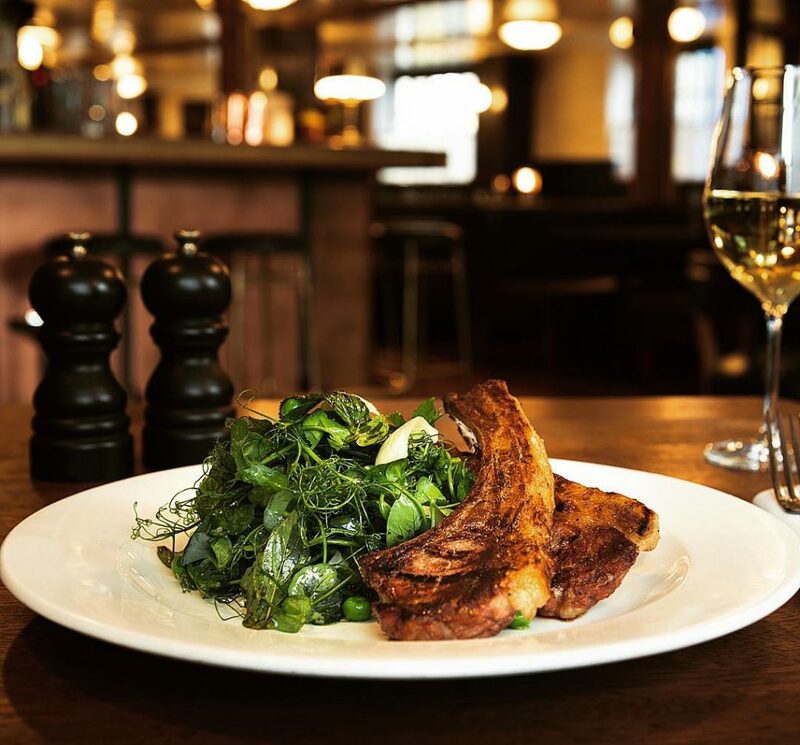 Alternatively: try the new Hawksmoor ❹, just the other side of the market, dishing out some of London’s best steak at their sixth London location. Or for something a little lighter, try to get table at wildly popular pasta place Padella ❺, just off Southwark Street. Head west along the riverfront from the Tate Modern, and after a ten minute stroll later you’ll arrive at the foot of the iconic OXO Tower. The bar, restaurant and brasserie at the top are held out to be three separate places, but more realistically, it’s ALL ONE PLACE. 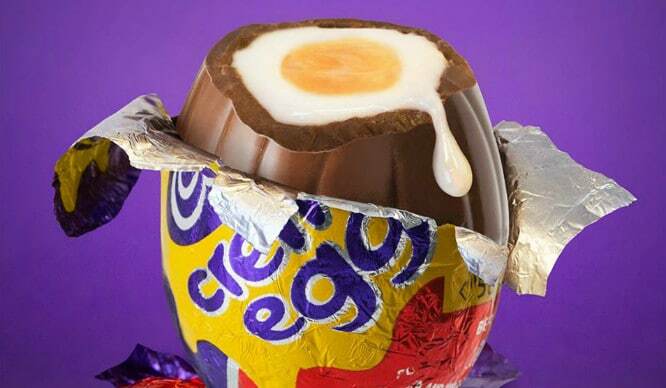 Anyway, they serve up – surprise! – some classic British fare: scallops, sea bream, and mussels; pork belly, lamb chops and rib-eye steak. If that sounds a bit heavy, they also have some light ways to celebrate with friends and family, like a dessert-and-champagne only offer. Mmm… dessert and champagne. 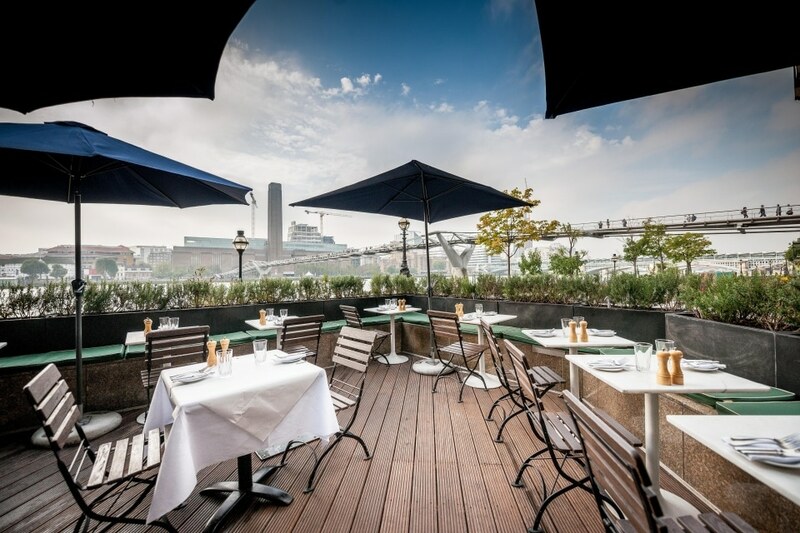 Alternatively, why not try: the Sea Containers restaurant ❼ at the Mondrian Hotel is even closer to the gallery, and also looks out over the river, albeit from ground level. They dish up ‘seasonal, farm-to-table dining’ along with plenty of seafood dishes, like grilled octopus salad and oysters. 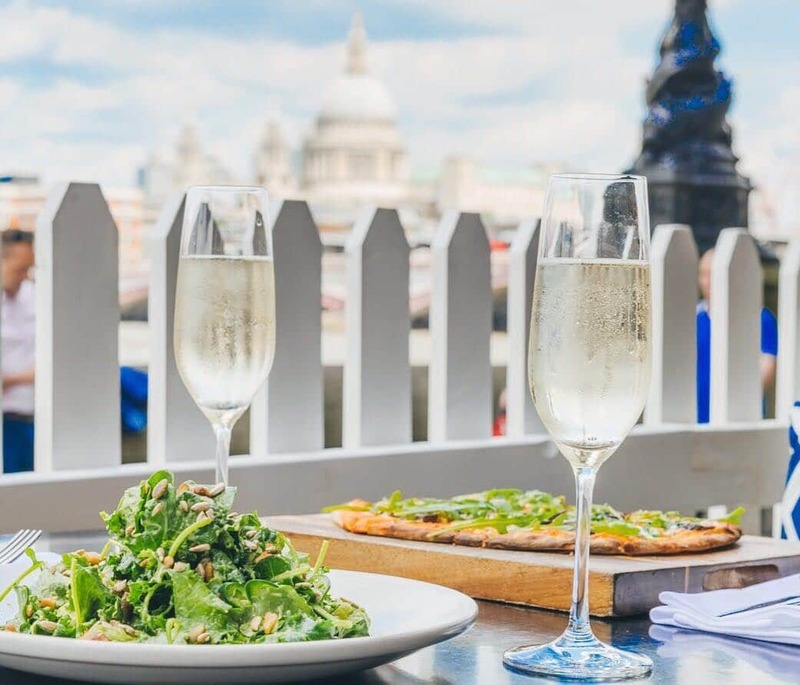 Head directly over the Thames via the pedestrian Millennium Bridge, and you’ll land pretty directly at Northbank Restaurant. Settle in on their riverside terrace, order some slow cooked short rib, lemon sole or roast rack of Cornish lamb, and gaze back over the river at the gallery you were so recently pootling around. SPLENDID. 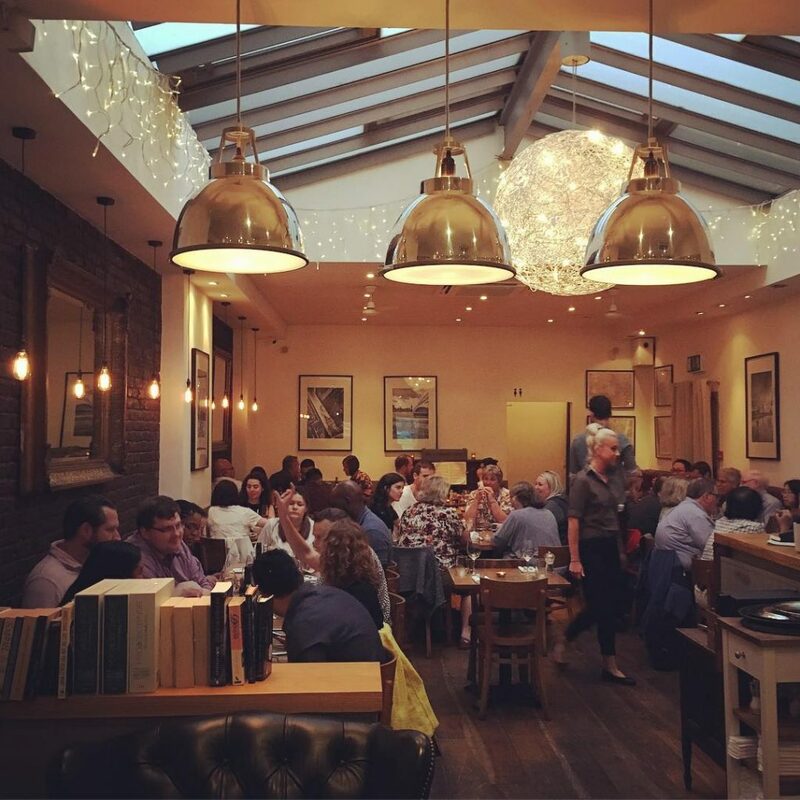 While London foodies have probably heard of most of the above, the Laughing Gravy is a little less well known, sitting, as it does, a bit more off the beaten track, a ten minute walk south from the gallery. 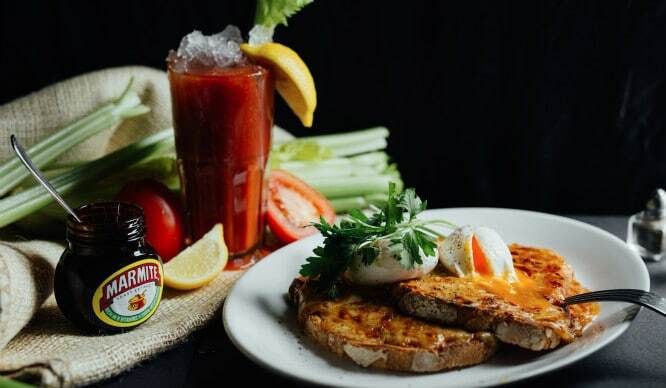 That’s a shame, because it turns out it’s really solid fixture, scooping up a Love London Award from locals and warm reviews on the web, dishing out decent food and friendly service to both art lovers and theatregoers from the nearby Old + Young Vics. Settle down for braised rabbit pappardelle ragout, roasted cauliflower mac’n’three-cheese, or, I guess, a superfood salad. Alternatively: try long-running gastropub Anchor & Hope ❿ near Southwark tube station for more hearty local cooking (seven hour lamb shoulder, marinated peppers, veal stew) but note they serve at lunch and dinner -but not those in-between hours.